Manual was Chief of the Day AND the Soccer team MVP this week! Congrats men, keep up the fine role modeling. 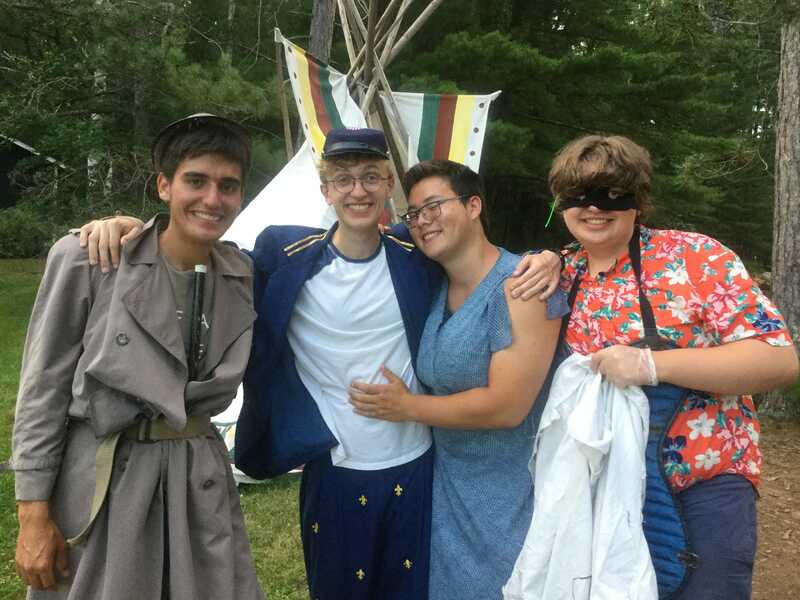 CIT Coordinator Will D (far left) looks especially swashbucking. Way to get into character Will! 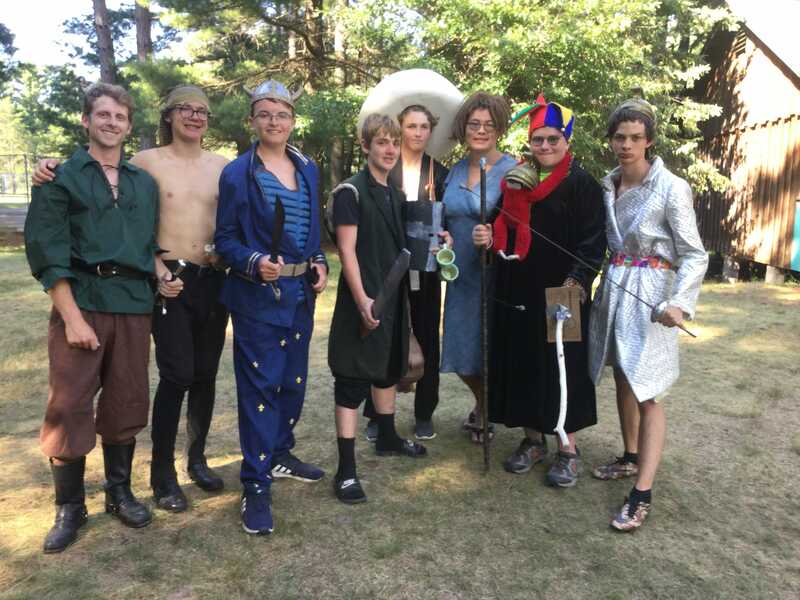 Quest Day – This fun new camp event included Lords, a “Lady,” and maybe a Knave or two. In the end, the 4 Kingdoms banded together against the invading Hodag forces to save the TP kingdom. The boys of Cabin 4 react to Nurse Andrea’s stunning news with their typical aplomb and understated humility. All Hail the Happy Hygienic Heroes Of Huron!! 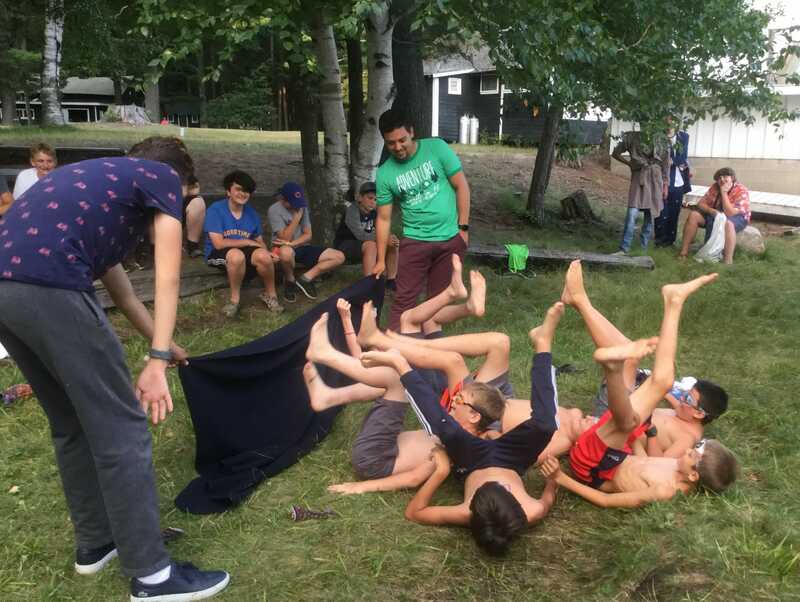 In a stunning precedent, Cabin 4 was AGAIN the Cabin Clean-up Champion – for the second week in a row!! 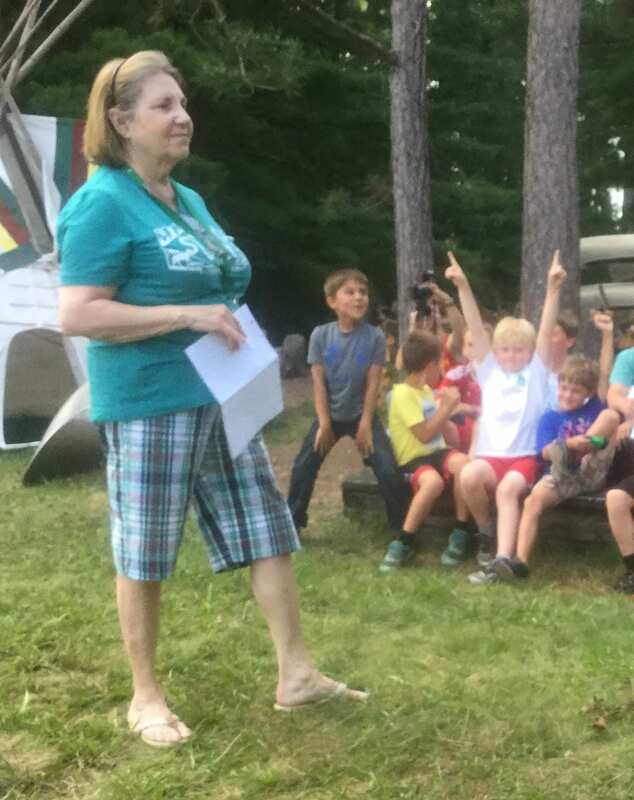 The Lads of Huron scored a perfect 100% on their weekly score, and will again take a victory lap for ice cream. 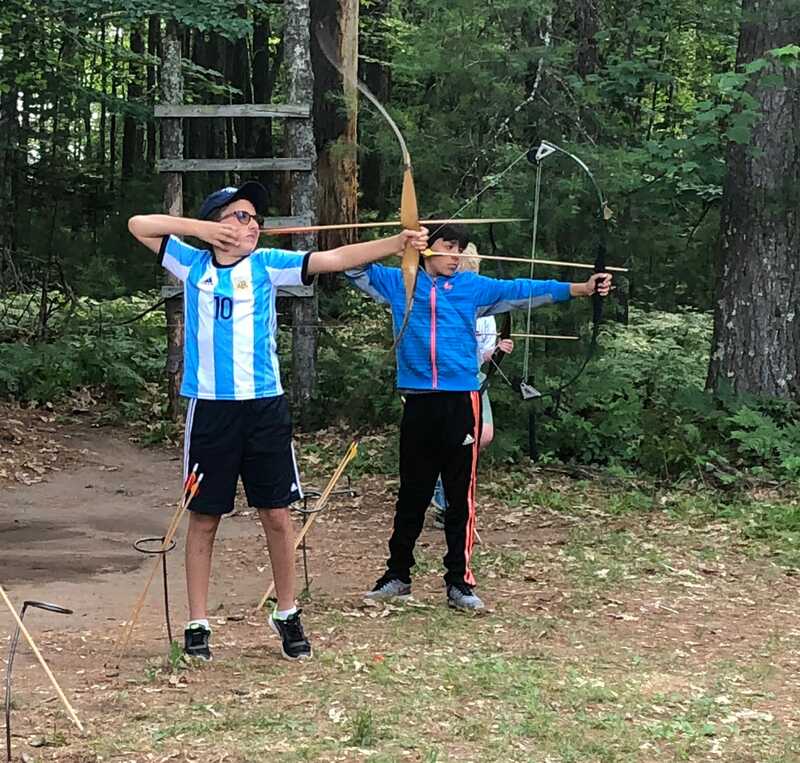 Archers shoot 5 rounds of 6 arrows apiece, i.e., 30 total arrows to accumulate enough points to earn a rank. The ranks below are listed from easiest (White Yeoman) to most difficult (Gold Archer). Pablo R shot a 37 at 30 yards. Pablo R shots a 41 at 30 yards. Eli W shot a 38 at 20 yards. Lucas H-S shot a 38 at 20 yards. Bernardo H shot a 41 at 20 yards. In riflery, the target is always 50 feet away (no matter the shooting position). The riflery target includes 10 concentric rings, with the innermost circle (smallest) worth 10 points, and the outermost circle (biggest) worth 1 point. Each round consists of 5 shots, and the max score for any round is 50 points. Manuel MDC shot a 42 prone. Domenic G shot a 42 standing. 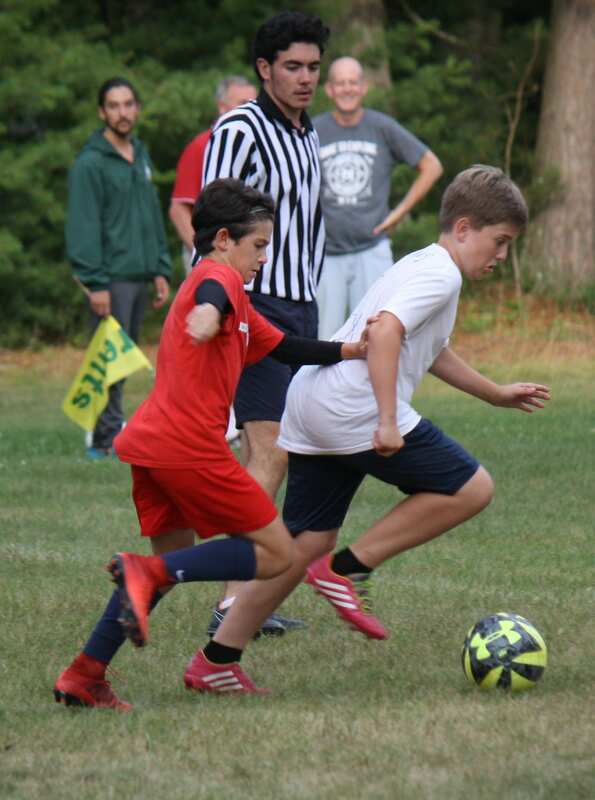 The TP 12 & Under Soccer Team – In a game EVEN BIGGER THAN THE WORLD CUP, our friends at Red Arrow Camp used excellent offensive teamwork to overcome a tough Towering Pines defense. Both teams displayed nice soccer technique and superb sportsmanship. 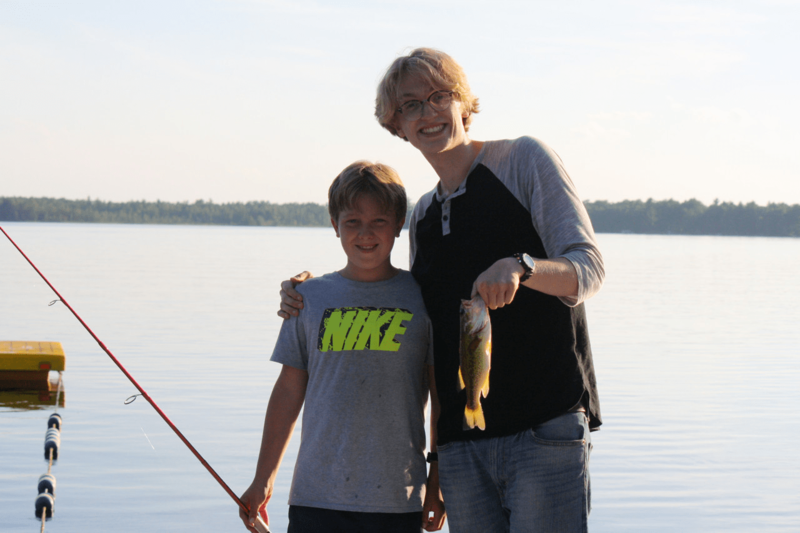 This week, Fish Whisperer Ben K caught a 12” small mouth bass, a 14” large mouth bass, and a 15” large mouth bass. Trail Bike Grand Prix – new in 2018!! This week, James W caught a 12” and a 15” large mouth bass. Henry St caught a 9” small mouth bass and a 9” large mouth bass on the same day! 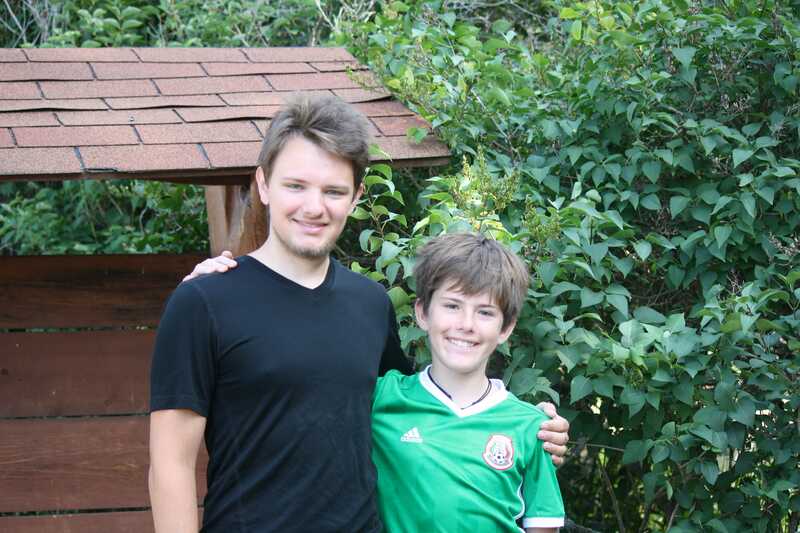 The duo of Thomas K and Scott K won a sail race regatta this week. 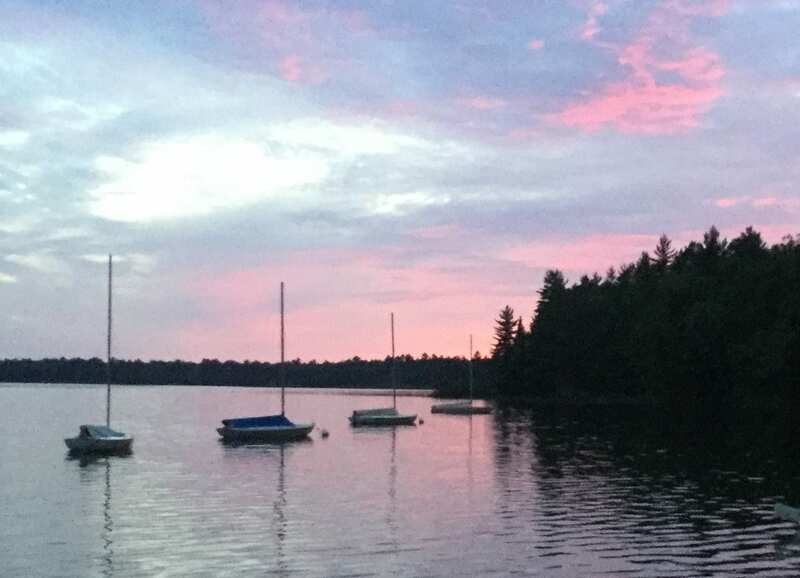 Cabin 4 really outdid themselves this week! 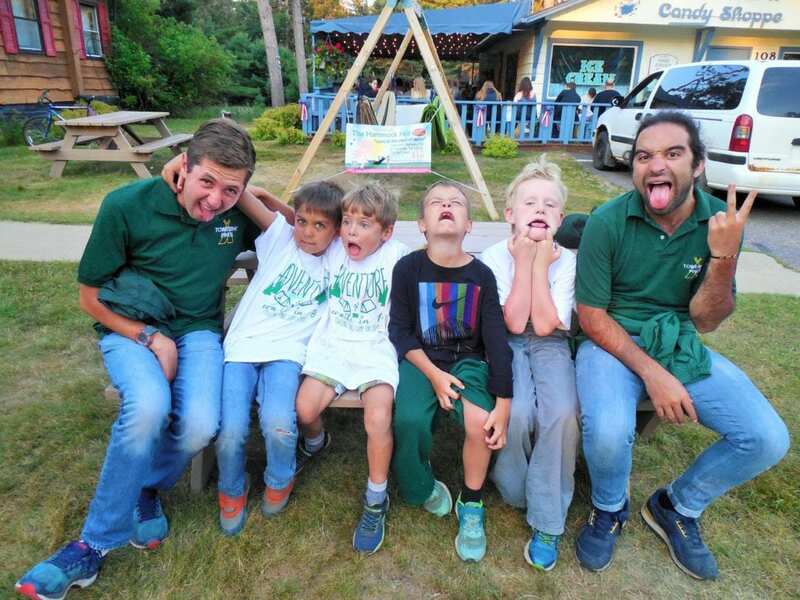 After winning last week’s Cabin Clean-Up Competition, the Men of Huron – including staff Luis and Eduardo – apparently had an extreme bout of brain freeze. Every week, TP staff members Ethan N, Andy E, Bryan N, and James E deliver a gobsmacking performance of creativity and humor. 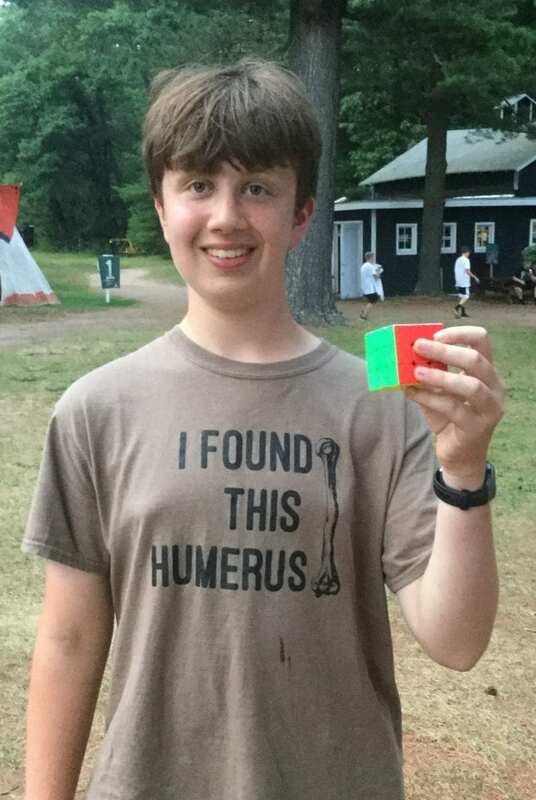 For the intellectuals in the crowd, Bryce B’s 14-second solution to the Rubik’s Cube was a stunner. 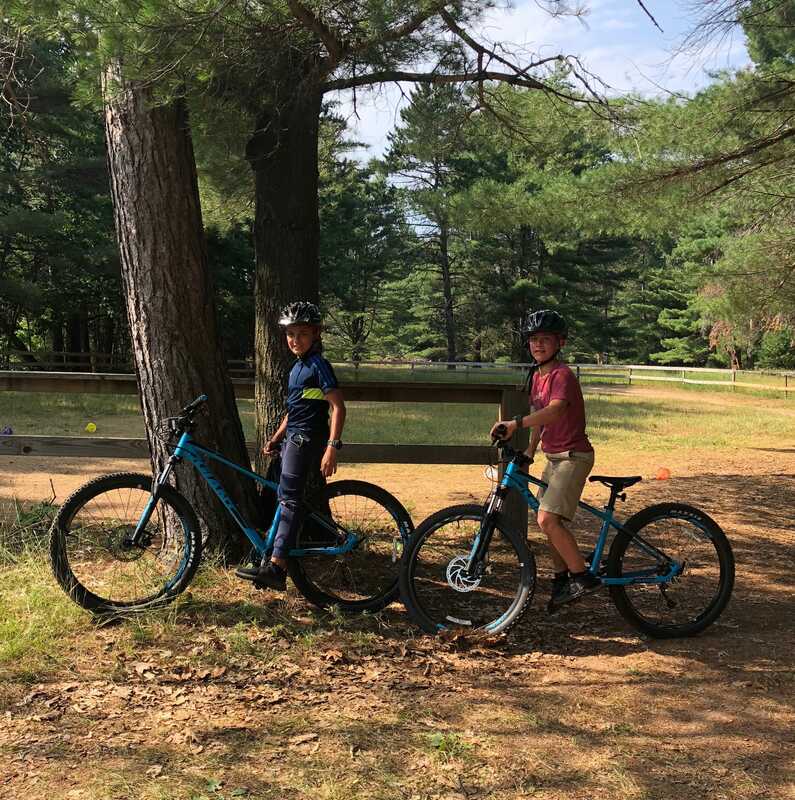 Extra points for the tee-shirt Bryce – we LOVE Dad Jokes at Towering Pines! For the more artistically inclined, the Men of Cheyenne delighted the audience with their elegant interpretation of Swan Lake. Mother Nature delivered a stunning finale to the evening.